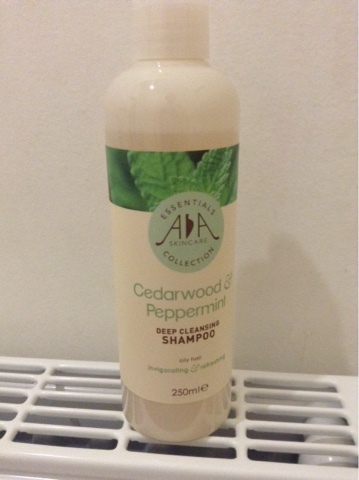 Loubee Lou Blogs: Amphora Aromatics Shampoo Review. 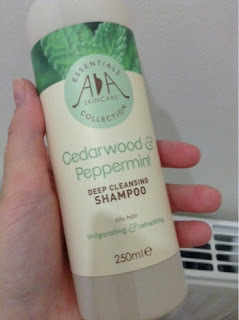 If you've read my blog before you'll know I really enjoy products from Amphora Aromatics. If you don't know about the brand the let me give you a bit of info before I go into my latest product review. Amphora Aromatics was established in 1984 and was sold in the backroom of a small store in Bristol. It has since gone on to become one of the UK's largest suppliers of all things aromatherapy. Though still based in Bristol, the brans now ships worldwide. They boast an extensive range of products ranging from essential oils to face masks (You can find my review of the Frankincense and Rose Clay Mask here!) all made from natural ingredients from the best sources. I always trust that the ingredients are of a high quality and not pumped full of chemicals. 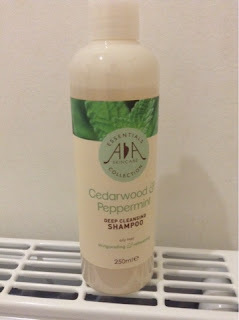 The product I am featuring this time is the Cedarwood and Peppermint shampoo. This shampoo aims to add volume and shine while being rich in vitamin E, amino acids and calcium. This product is aimed for those of us with particularly greasy/oily hair. * I have to say that my head is particularly sensitive at the moment so I couldn't continue with it. Well this products smells great. Very deep and minty. It's a very refreshing scent that leaves the hair smelling great. It is perfect for men and women because the scent is very unisex. You know some shampoos can have a very feminine scent which puts guys off. This one is a lot more balanced. I always try and look for the most natural products I can find as I feel my hair and scalp suffers when chemicals are thrown on there. This shampoo is free from artificial colours and fragrances as well as containing 0 parabens (which we all know aren't good for anyone). It has many active ingredients that work to actually promote good hair health and improve the condition of the hair and scalp. I have noticed that my mum's hair has had so much more life and volume. It can fall quite flat with regular straightening and blow drying but this shampoo helps keep the hair fresh and full of bounce. She has mentioned several times how much lighter and bouncier her hair feels and it really shows. Another great thing is that the shampoo is effective yet very mild. 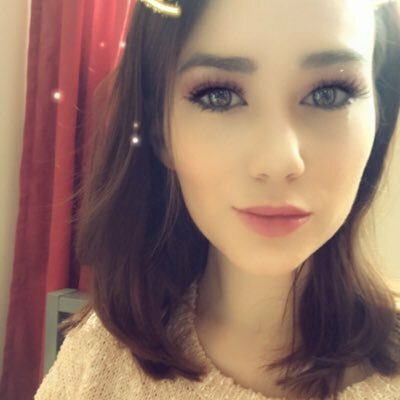 It washes out really easily and leaves no residue (some natural products containing oils can give your hair a feeling of being coated which isn't very nice). This keeps the hair nice and light. I think the main one is that it doesn't work for everyone. Though that isn't because of harsh chemicals that damage the scalp, it's simply because you have to find the right essential oils that work for you. Not everyone gets along with the oils and that's okay. There are many other shampoo's to try from the range which each target different things. Another con is the bottle lid. It's the kind that I imagine will get clogged over time and that can be a little frustrating but as long as you wipe the lid after every use you should be fine. If you would like to check out the Amphora Aromatics site/social media pages, you can find them listed below. I hope you take a look and find products you will love!